One day in 1990 Kris Robert Hughes decided he wanted to be a Buckeye. His intent was noble: He wanted to go to Ohio State simply because he loved Big Ten football. Yes, really. He absolutely loved it. There would be no better way to get to Big Ten football games than to be a student at Ohio State. He also knew that he didn’t want to attend a small college. So Kris made the trip from Long Island to finally see Ohio State in person for himself. He got all of the information he needed to confirm his decision. His parents had no reason to say no. Everything was coming up Columbus. And as luck would have it, his Michigan State-bound girlfriend’s father had been a captain for one of Ohio State’s very first ice hockey teams in the mid-1960s and was able to arrange a tryout for him to walk on to the team. Kris had been playing hockey longer than he had known how to read. This decision was going to be too easy. 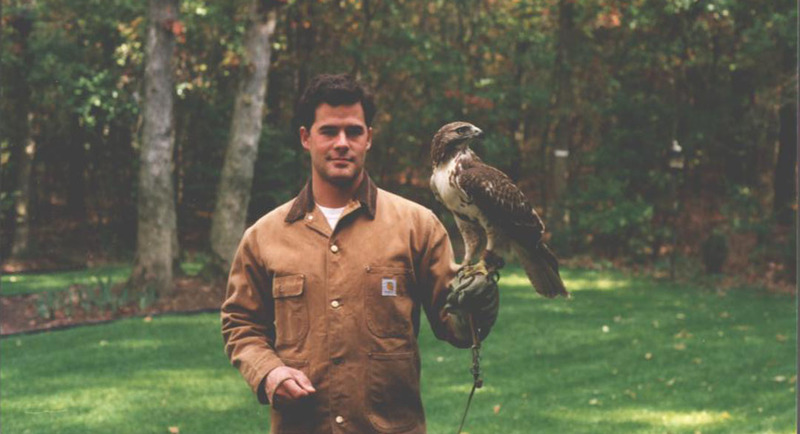 He was only 19 years old he had his whole life planned: He would go to Ohio State, play hockey, study Finance, enjoy a successful career on Wall Street and then retire to the mountains by his 40th birthday. One day prior to freshman orientation, Kris moved into Morrill Tower. In the fall of 1990, Morrill and its twin – Lincoln – were the 16th tallest buildings in Columbus. At 260 feet tall, Morrill was just one red zone short of being a whole football field high. Both buildings were relatively Lilliputian by comparison to the buildings that stood near where Kris grew up; there are well over 100 skyscrapers in New York City that are twice as tall as Morrill and Lincoln; however, none of them have Ohio Stadium as a welcome mat. Kris had come to Columbus for Big Ten football, and it was now literally right outside his bedroom window. Acclimating to college was no big deal. What challenged Kris halfway through his freshman year wasn’t the distance to New York. It was the distance to East Lansing where his girlfriend Megan would be in the fall; the same girlfriend whose father had gotten him that tryout with the Ohio State hockey team, where he had made it to the final cut before his surgically-repaired knee prevented him from being the star player he had been growing up. He was a strikingly handsome kid whom you would have incorrectly expected to be arrogant. As a freshman from the East Coast, Kris was down to earth, approachable, easy going and quite pleasant in a hectic, transitional year that is defined by so many freshmen battling the creeping instability of no longer being close to home. Kris made plenty of friends at Ohio State his first year. But like so many plans in so many lives throughout all of history, his plans were about to be altered on account of a girl, and one day in February Kris decided he would become a Spartan. 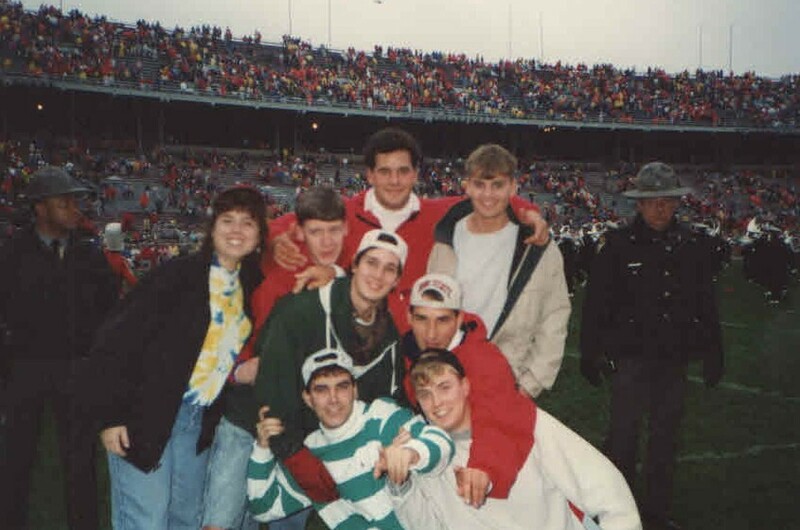 After OSU's 13-13 "win" vs. Michigan in 1992. He transferred to East Lansing to start his sophomore year in continuing his big campus studies while getting closer to his high school sweetheart. His career aspirations as well as his love for Big Ten football remained intact, but Ohio Stadium was no longer right outside his bedroom window. Kris would still come down to visit Ohio State on weekends for football games and to hang out with the friends he had made back in Morrill. As his sophomore year progressed, and with every passing weekend back in Columbus, it began to occur to him that his decision wasn’t quite what he had expected. For Spring Break that year he went down to Panama City Beach, but with his Ohio State friends from his freshman year, not his girlfriend and not with any fellow Spartans. His friendships blossomed further over the span of that one week, which while creating lifelong memories made East Lansing feel like even more of a mismatch in the short term. Perhaps he had overestimated the relationship with his girlfriend. Maybe it was being at Michigan State. It could have been everything; it could have been nothing in particular. Regardless, he realized that his anxiousness was rooted in the fact that he wasn’t at Ohio State anymore, and that is where his friends were. That’s where he was most comfortable, and that was where he belonged. So one day in April Kris decided to become a Buckeye again. He transferred back to Ohio State and re-enrolled after one year away from Columbus and resumed his college career where he had left it. He made Ohio State’s competitive club hockey team. He went to Buckeye football games. He studied Finance. Despite the one-year detour in East Lansing, his life plans were still on schedule: He would finish up in Columbus and then head to the Big Apple. As sharp as Kris was, his Ohio State friends were less optimistic: They knew Kris believed that his destiny was to become a shot caller on Wall Street. They thought that realistically his ceiling in New York City would be making cold calls for big players; the guys with Ivy League degrees, MBAs and connections. Kris had none of those things. He had ambition and a plan. That would have to be good enough. Beyond Ohio State and Manhattan, there were those mountains: Kris was an avid outdoorsman who loved to go hiking, mountain biking, fishing, whitewater rafting, the outdoors could be his only destination. There would be no Michigan State-like detours in his retirement plans. One day in summer Kris traveled to Sun Valley in Idaho to go fly fishing. 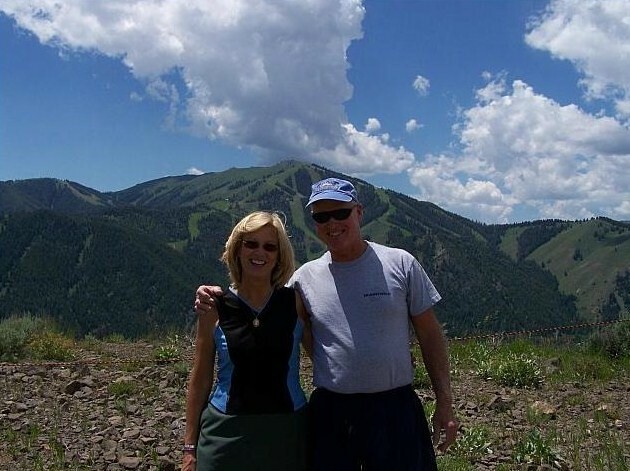 It was no ordinary vacation; Kris fell in love with Sun Valley. He fell hard. He returned home to Long Island and forced his family to go back out with him so that they could see for themselves exactly what he had experienced. The plan was now complete: Ohio State, Wall Street, turn 40, Sun Valley. Kris moved to Manhattan right after he graduated from Ohio State in 1995 with his finance degree. He didn’t make it back to Columbus as often as he would have liked to, but that didn’t mean he didn’t see any Buckeye football either. Matt: (answering) Can you believe Cooper put Stanley Jackson in again? Kris: NO I CANNOT BELIEVE COOPER PUT STANLEY JACKSON IN AGAIN! Kris: CAN YOU BELIEVE THIS?! One eerie November afternoon in 1998 with Matt on the phone in Ohio with Kris in New York and they watched the undefeated and top-ranked Buckeyes play Michigan State in Ohio Stadium. The tension between them built up over the course of three improbable hours of miscues and hubris. With Ohio State driving to take the lead with only a few seconds remaining in the game, Joe Germaine threw a pass toward the southeast corner of the end zone for Dee Miller. It was intercepted and the Buckeyes’ dream season – one in which they obliterated every other school that they faced that year except for that middling 6-6 Michigan State team – was over. The moment that the Spartans ended the game, two things happened in Marysville and Manhattan simultaneously: Matt hurled his television remote control in disgust across the room, causing it to shatter into pieces. At the exact same time, Kris threw his phone against the wall, permanently breaking it and ending the call as abruptly as Ohio State’s national title hopes. One crushing loss. Two broken appliances. Six hundred miles apart. The first game of a new era. 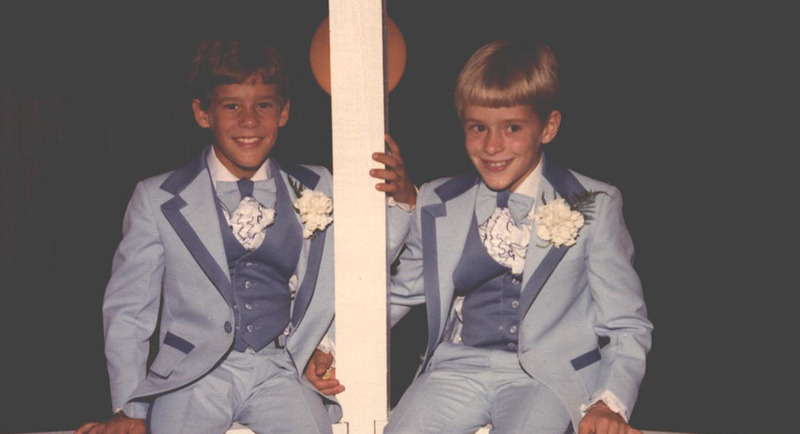 Kris eventually worked his way into risk-arbitrage as a securities trader. He was promoted to Vice President less than five years after graduating from his beloved non-Ivy League alma mater. By July of 2011 – his 40th birthday – he would be Idaho-bound. One Saturday in Columbus, Ohio Stadium was formally rededicated following a three-year renovation project that removed the old running track, lowered the field, constructed permanent south stands and brought the building up to code while increasing capacity by 10,000. That Saturday also served as Jim Tressel’s head coaching debut. His Buckeyes were facing Akron. Matt was in the stadium. Kris was in New York. They had spoken every week leading up to Tressel’s inaugural game. Neither of them knew too much about the new head coach – they had both previously concluded that Glen Mason from Minnesota would have been the best choice to succeed John Cooper – so they were anxious to see what this new era of Ohio State football would hold. Matt stood at his seat and intentionally waited for the marching band to come out onto the field playing Buckeye Battle Cry before calling Kris on his cell phone, just to rub it in. When Kris would eventually check his voicemail, he would only hear the sound of screaming fans drowning out the distant brass and percussion moving from the north end of the field toward the south stands. Matt: What the hell are you doing in New York! You should be here, man! Setting a goal during adolescence of retiring at 40 makes a little more sense if you know the context: Kris grew up always believing that 30 was really old. Only once he reached 30 himself that July did he finally admit to his mother that he had been wrong all along; 30 was not really old as he had previously believed. That realization did not alter his retirement plans. The only work he would be doing after 40 would involve fly fishing. Kris had gone to Ohio State for love of Buckeye football. Similarly, Kris had moved to Manhattan for love of Wall Street. On the Tuesday morning following Ohio Stadium’s rededication ceremony, Kris went to his office at the firm of Keefe, Bruyette and Woods on the 89th floor of World Trade Center Two. It was September 11, 2001. Kris would forever be 30. He would never be old. One day in 1971 Kris Robert Hughes arrived, albeit prematurely. He was born on July 19th, and his parents weren’t expecting him until August at the earliest. As expected, he was absolutely tiny, weighing only 4 lbs, 12 oz. After two and a half weeks in an incubator he came home to meet his older brother and sister. His brother Keith promptly climbed into Kris’ crib and sat on him. Welcome home, baby bro. As a child he did not fill out quickly; his parents took him to the doctor routinely to try and figure out if there was an underlying sickness. When his family took him to the beach in Long Island they were fearful a seagull would make off with him. He looked like a snack. At four and a half, Kris started playing organized hockey. He was so small that if he skated by the near side of the rink where you were watching, he would disappear; his head did not rise above the glass. Opposing players twice his size would trash-talk him. He’d steal the puck at faceoff, literally skate through their legs and score goals, quietly. His actions spoke loudest, even on the rink, even at that young of an age. By the time he turned ten Kris began developing a passion for the outdoors. His parents did not interfere, whether it was him going out to Montana to hike as a teenager or forcing his father to visit Sun Valley in 2001 with him so that they could see where he would be setting up his fly fishing venture. In high school Kris was the captain of the varsity hockey and football teams. The latter started his freshman year when he and Keith, who was just one year older, both tried out for the football team - just to stay in shape for hockey. Prior to that decision, Kris barely followed football. It was at that point that his fondness for the game developed, and he brought the love for college football back home, where his family suddenly began spending Saturdays watching Ohio State, Michigan, Notre Dame, Oklahoma and Nebraska. They immersed themselves in flyover-state football games that serve as the most important cultural events in throughout the Midwest. They absolutely loved it. They favored the Big Ten teams. They decided that they hated Miami. Those were the bad guys. By the time football season came around his sophomore year, Kris had grown into the body of a 6"1 quarterback. Despite starting hockey before he was five, baseball when he was eight and football not until he was a teenager, it turned out to be his best sport. He took to it immediately, and he got better very quickly. As a junior he was named his school’s Athlete of the Year. As a senior he was team captain and had gained offers from West Point and Connecticut College to play both football and hockey. But while he loved college football, he didn’t want to play college football. A knee injury his senior year helped make that decision much easier: He’d forego playing football in the Northeast for watching football in the Midwest. And that was what he wanted anyway. One day in October over 500 of Kris’ friends attended his memorial service in Long Island. The majority of his mourners drove. Many of them got in their cars and came from across the country. It was barely a month after 9/11. Most American airports were still largely empty. 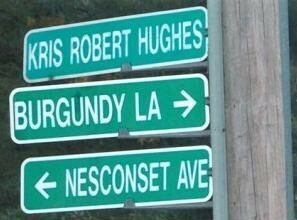 The street dedicated to Kris on Long Island. There was no sudden discovery of how great of a guy Kris was after he died. This was common knowledge. His memorial service was reflective of the type of person he was. The stories that were told by the mass of people - most of whom did not know each other - just validated what everyone already knew about him. An interesting thing happens when a life is cut short: The survivors learn things about the departed they might have taken for granted, didn’t realize or just never discovered. Like that Kris had the Wall Street Journal delivered to his room at the Berkshire School every single day, starting when he was in tenth grade. And he actually read it. Or the sheer breadth of people who revealed at his memorial ceremony what he had done to try and help them out in some way. Or how genuinely good he was when no one else was watching. These are nice things to find out about your son and your brother. Things you might not have found out otherwise. These nice things have not stopped revealing themselves in the decade that Kris has been gone. Every year it is something new that appears unexpectedly, whether it’s an unsolicited letter about him from what had been a distant friend, or a note from a stranger who happened upon one of the memorials constructed in his memory. Nice things that probably would have gone forever unknown had his life not been abruptly cut short. One night in Glendale Kris’ parents and two of his college roommates went to see Ohio State play Florida for the BCS championship. Bob and Elaine had reached out to both Matt as well as Bryan Yasko to see if they might be interested in joining them on a trip to Arizona for the game. Ted Ginn returned the opening kickoff for a touchdown. Virtually nothing positive happened for the Buckeyes from that point on. For the better part of 12 games, Ohio State was dominant. In its 13th game, Ohio State simply could not move the ball or stop the Gators. During the painful television breaks that interrupted the action and prolonged the inevitable outcome, Kris might have shouted CAN YOU BELIEVE THIS? Matt abundantly took care of that for him. It was a wholly inexplicable evening. However, that lousy game made for a terrific bonding experience, and it rehabilitated a bridge built during the 1990s. Kris’ college friends now call the Hughes house on Mother’s Day. They’ll call on Christmas as well. During football games after the Buckeyes score a touchdown and the broadcast goes to a commercial break, the phone at the Hughes house in Nesconset will ring, and it will be Matt or Bryan. They’ll just be calling to check in while the Buckeyes are at a commercial. CAN YOU BELIEVE THIS GAME? One day in Columbus, the university construction crew applied the finishing touches on the stone walkway that surrounds the outer shell of Ohio Stadium that was completed in 2001. There are four identical bricks: That one on campus, one with Kris’ parents at their house, one with his brother and one with his sister Kim. The one at the stadium, outside the southwest corner, is right in line with where the band concludes its march from out of the tunnel in the north end. If you were to stand by Kris’ brick during the marching band’s traditional game-opener, in the shadow of Morrill Tower, you would hear the requiem chimes of Carmen Ohio contrasting against the respectful silence of 110,000 people. Not a bad spot to mark the legacy of the Long Island kid who left home to chase Big Ten football. One day this past July, Kris would have turned 40 and moved out to Sun Valley to start up his fly fishing business. The way that he had envisioned it ten years ago was to get all of his family and friends out to Idaho for a month-long party. On what would have been his 40th birthday, his parents Bob and Elaine woke up in Sun Valley. Kris’ friends Matt, Bryan, Haze Moss, Tony Harless and their families were already there as well. He should have been there in Sun Valley for his 40th. Kris should have also been at Sun Devil Stadium in Tempe in 2003 for Ohio State's BCS title. He should have been at his four nephews’ birthdays. He should have been at that terrible Florida game in Glendale in 2007. He should have been able to experience any one of those cold, comfortable November wins against Michigan like in 2008, the kind that he would have never believed to be possible during the 1990s. But nothing was going to prevent his family and friends from seeing out his retirement party. Kris’ plan that had begun at Ohio State had reached its completion in the mountains, with some help. At the 3.7 mile marker on the trail up Mount Baldy in Sun Valley there’s a grotto formed from the rock where hikers and bikers can get water and rest. For more than half of the year that grotto is completely white and fully blanketed beneath massive snow drifts. Kris' sun-bleached memorial that sits on Mount Baldy. Every summer the warm air melts away all of the accumulation and reveals a small plaque with an inscription that was placed there five years ago as a memorial to Kris. The plaque has remained in that grotto, unsecured and unprotected, for each of the past five winters. Every year it is buried in snow, and every summer it re-emerges. If it slides down from its perch or falls over, someone will always put it back in its rightful place. There have been a lot of helpful someones. All of them are anonymous. 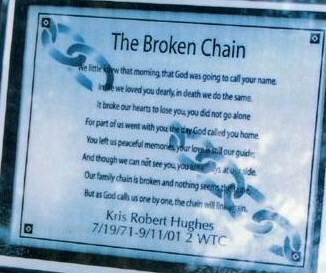 One hiker was so moved by the plaque last year that she went online and did some research until she came up with Kris’ parents’ information and emailed his mother. It was still there in July for Kris' retirement party, and it was upright. The grotto will take on the blizzards and submerge into winter once again in just a few months. But during the summer in Sun Valley, the sun comes up around 6am and it doesn’t get dark until 10. It is 40 degrees in the morning, mid-eighties in the afternoon and then it cools down again at night. Kris’ parents began going out to Idaho in 2000. They’ve continued to vacation there regularly ever since, though they won’t be opening a fly fishing business. That was never part of their plan. They couldn’t share Kris’ retirement party with him. So his friends and family all shared it for him, on his behalf. Luke Fickell’s debut game as head coach this Saturday marks the ten-year anniversary of Tressel’s debut at Ohio State. The Buckeyes again open the season against Akron for the first time since September 2001. The world outside of Ohio Stadium is now completely different from what it was on that Saturday. But inside Ohio Stadium on Fall Saturdays it’s largely the same as it was on that day: There’s a new, young coach, a talented but somewhat mysterious roster, elevated expectations and undying enthusiasm. It’s the same as it ever was in Columbus. It’s just much different everywhere else. Ten years ago, Kris had unchained enthusiasm for the future of Ohio State football, and that positive energy began with then-high school senior Mike D’Andrea, whom he believed would be the next Andy Katzenmoyer. He was partially correct; like Katzenmoyer, D’Andrea’s injuries prematurely ended his career. The next star linebacker at Ohio State was in D’Andrea’s recruiting class, however – it was AJ Hawk. Kris likely thought he would be the next great Ohio State fullback. Today, Kris would have the same flowing passion for Ohio State football. Matt says without equivocation that he would be all over Braxton Miller. If the parallel with Glenn Mason held true, Kris would probably have wanted Urban Meyer to succeed Tressel. Either way, he would be spending this week anxiously waiting for kickoff, just like the rest of us are. Saturday cannot get here soon enough. It never gets here soon enough. It also never stays long enough. The American flag that is a mainstay in front of the Hughes house in Nesconset will take a rare day off this weekend when it will be replaced temporarily by the Ohio State flag a few hours prior to kickoff. The Buckeyes will be on their television, Buckeye beads will hang around their necks and Kris will be in their hearts. Each game is a live reminder of the son who brought college football into their lives and into their home, and who followed his heart to Columbus before his eyes had ever even seen it. Even though Ohio State schedules a few creampuffs like Akron every season, every college football Saturday is still sacred regardless of who is playing and no matter how trivial the stakes may be. Each game is a living memento. College football families and communities embrace this: It's about a lot more than just football. At some point on Saturday - hopefully very early on in the game - the Buckeyes will score a touchdown. Cheers will fill the Hughes house. Ohio State will kick the extra point and the game broadcast will cut to a commercial break. A few seconds will pass. And then the phone will ring.